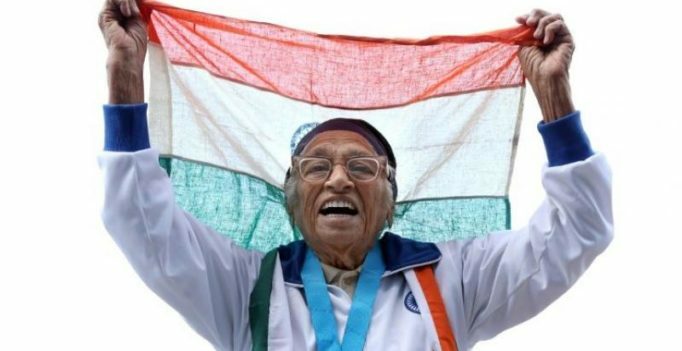 Auckland: With a jaunty victory dance, 101-year-old Man Kaur celebrated winning the 100 metres sprint at the World Masters Games in Auckland on Monday, the 17th gold medal in the Indian athlete’s remarkable late-blooming career. Kaur clocked one minute 14 seconds as a small crowd cheered her on – ending a mere 64.42 seconds off Usain Bolt’s 100m world record set in 2009. In truth her dash became more of a gentle amble the closer the tiny centenarian came to the finish line, with more energy spent beaming at spectators than running. But Kaur was guaranteed victory as the only participant in the 100-years-and-over category at the New Zealand event, which has attracted 25,000 competitors. Participation, not racing the clock, is the priority for Kaur, who has been dubbed the “miracle from Chandigarh” in New Zealand media. 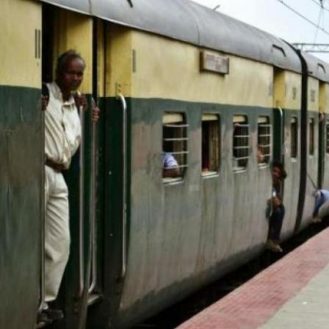 “I enjoyed it and am very, very happy,” she told reporters via a Punjabi interpreter. Kaur only took up athletics eight years ago, at the tender age of 93. She had no prior sporting experience before her son Gurdev Singh suggested she join him in competing on the international masters games circuit. After a medical check-up she was given the all-clear and since then mother and son have taken part in dozens of masters athletics meets around the globe. Kaur already has a swag of gold medals that would rival Michael Phelps’ haul and also plans to compete in the 200m sprint, two kilogramme shot put and 400 gram javelin in Auckland, taking her tally to 20. Her son Gurdev told the Indian Weekender newspaper that Kaur was on a strict diet that included wheat grass juice and a daily glass of kefir (fermented milk). World Masters Games 2017 chief executive Jennah Wootten said the Auckland organisers were delighted to host such an inspiration. “Man Kaur truly personifies the ‘sport for all’ philosophy which World Masters Games is all about and we are thrilled to have her here,” she told AFP.